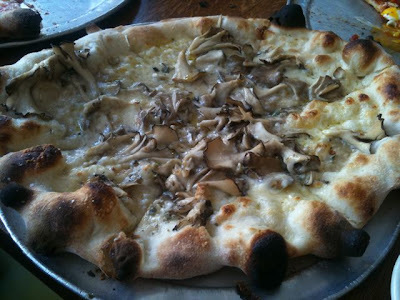 I know I eat a lot of pizza. 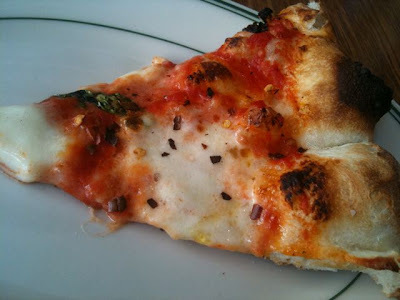 Met Matt and Chiefy for lunch at Pizzeria Delfina. Everything here was amazingly fresh. 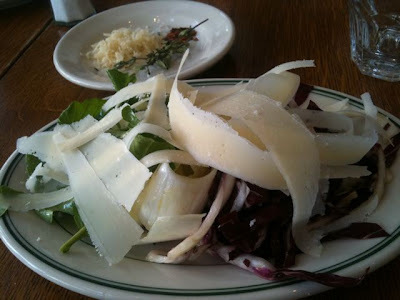 This Tricolore salad was the best I've ever had. 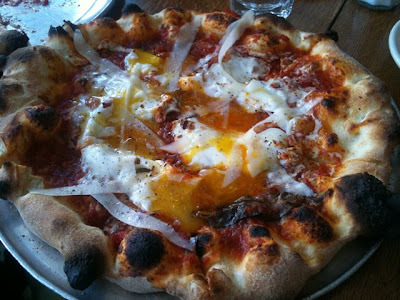 We also shared Margherita and two specials pizzas, hen of the woods mushrooms, and spicy tomato sauce with two eggs. 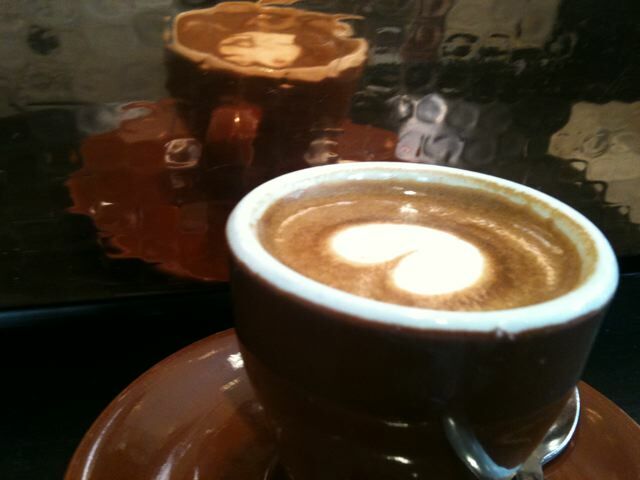 Afterwards we went to Blue Bottle Coffee. The foam on this Macchiato tasted like roasted marshmallows. *I know it seems like I eat a lot, and I do... but I also exercise. This morning I cardio-ed for an hour, I was going to post a picture of my sweaty T-shirt, but I decided to spare you.